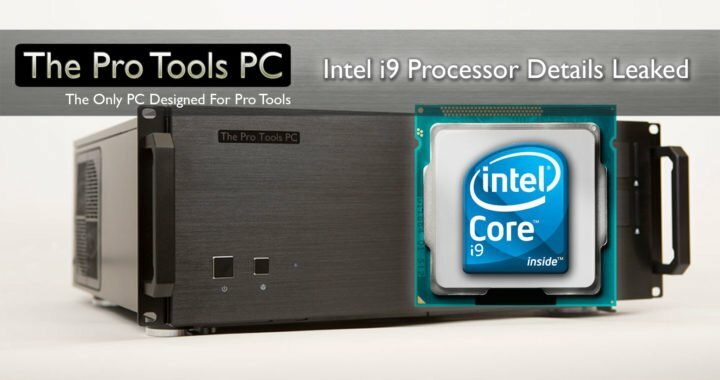 On Friday morning a long time anandtech.com forum member going by by the name of "sweepr" posted some rather intriguing details for some new Intel i9 Skylake-X 6, 8, 10 and 12 core Processors as well as some new Kabylake-X 4 core models, All appear to include hyperthreading doubling the core count except the Kabylake-X 7640K. Hexus.net also mention the socket type as LGA 2066 meaning new motherboards all round if upgrading. You can view the original post by "sweepr" here please let us know your thoughts and we'll do out best to keep you updated, We will of course be testing and approving new Core i9 Pro Tools PC's as soon as they and appropriate motherboards are available ensuring our customers always get the latest, fastest and most powerful systems for Pro Tools on the market. 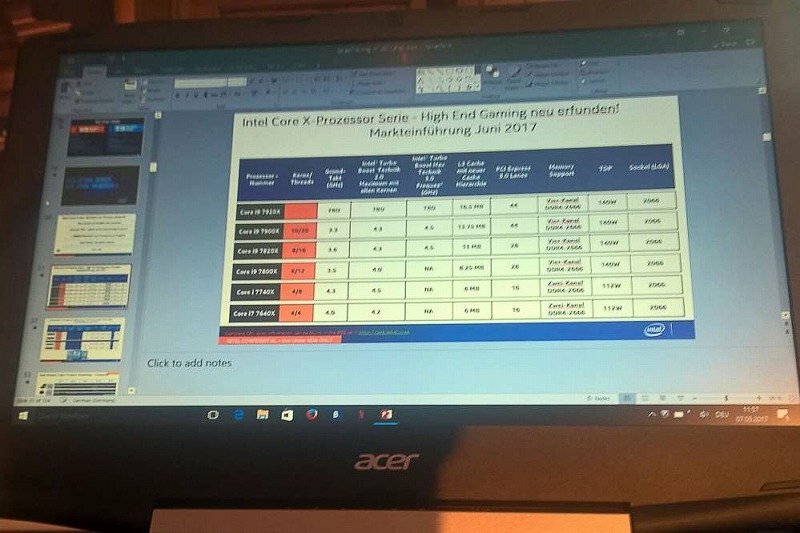 Posted in Discussion, News and tagged CPU, i5, i7, i9, Intel, News, Performance, Processors.